Concept Car Credit > Our Blog > blog > Want a used mini Cooper? Here’s what you need to look out for! A used mini can be a great choice. But there are a few risks as well. 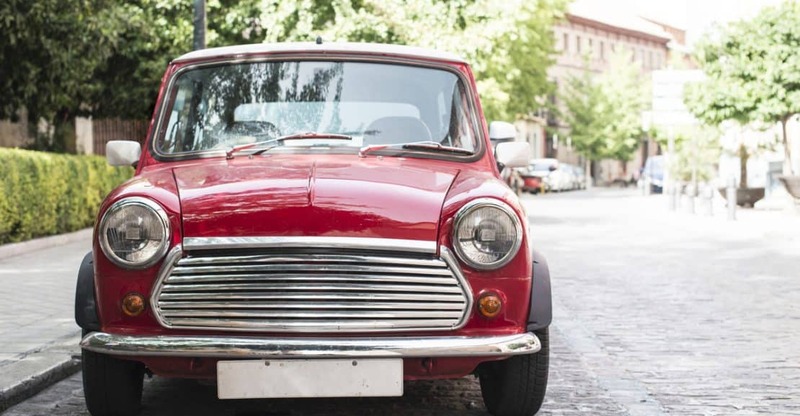 In this article, we’ll explain the pros and cons of buying a second hand mini Cooper in detail. Have you set your mind on a used mini Cooper? Get in line! Ever since its re-design in 2001, the Mini has been a spectacular success. And with prices for a new one starting at £16,000, a used model seems like the best (or even only) way to join the club. There are 5 models to choose from, each with its own unique benefits. But that isn’t the only thing you’ll need to consider. Since 2001, the Mini has gone through three generations and various improvements. Which of these used mini Coopers is right for you? That’s what we’ll help you with in this article. One of the worst cars ever built? Or should you reconsider? The mini may be unique on the car market right now in its ability to equally spark admiration and rejection. Never one to mince his words, Scotty ‘rev your engine’ Kilmer, for example, did not have a lot of positive things to say about the Mini. In his humble opinion, they tended to simply ‘fall apart’. He also claimed the ‘wiring was really cheap’ and that the engines tended to ‘blow up’. This may well have been one of Kilmer’s most controversial videos. Many in the comments section questioned his judgement on this one. Others adamantly supported his theory. Clearly, a used mini Cooper is not without its risks. Let’s take a look at the weak spots of this popular model. The mini Cooper was introduced in 1959. At the time, it was nothing out of the ordinary. It small dimensions were a direct response to customer demand. Smaller cars meant cheaper cars and it made the Mini affordable for a still struggling post-war middle class. Of course, very small cars had been built before and its charmingly British design seemed like a logical counterpoint to the charmingly Italian design of the Fiat 500. Most back then saw the Mini as a child of its time. Few expected it to last until the 70s. No one in their right mind expected it to turn into one of the most popular cars of the new Millennium. Somehow, the Mini remained on the radar, as many of its competitors faded from sight. Still, when BMW bought the brand, it seemed like it was on its way out. Between 1976 and 1986, the model had sold a million units. In the following 15 years, it barely made a third of that. Instead, it turned into an instant sensation. The greatest re-design of all times? The relaunched Mini of 2001 may well have been the greatest re-design of all times. Although sales had faltered before that, the Mini had quietly turned into a cult classic. It turned up in countless crime movies or British comedies, for example. The new design transported its recognisable, but somewhat antiquated Britishness into the present. In fact, it did more than that. Before BMW, the Mini had been a romantic item. Many loved the thought of owning one. But reality was never quite as satisfying. The Mini was tiny, it was uncomfortable to drive and its safety left a lot to be desired. This is where the new Mini came in. It was a thoroughly modern vehicle with a powerful engine. It looked both sympathetic and sporty, both nostalgic and futuristic and it was actually no longer small at all. In a way, it was almost like the dream of the perfect Mini had suddenly come true. … let’s get one thing straight: A used mini Cooper may not be a perfect car. It may even have some serious weaknesses. It is also, in all honesty, somewhat overpriced for what you are getting. But it is also a might fine vehicle. Already the first generation was a lot of fun to drive. The Mini has a remarkably reactive engine and feels almost like a sports car on the road. Its rear seats may have mostly been for decorative purposes. But up front, there was plenty of leg room and even enough space for fairly tall people. When Top Gear recently reviewed the latest iteration of the standard hatchback, it found plenty of great things to say about it. One of the best car magazines in the UK, it mentioned its “strong engine, impressive refinement, high-class cabin” and “seemingly endless personalisation”. At the same time, the Mini has occasionally been called a heart over head purchase. To understand this, we’ll now take a look at the three generations which shaped the mini mk II legacy. The success of the Mini was not a coincidence. It was carefully planned. 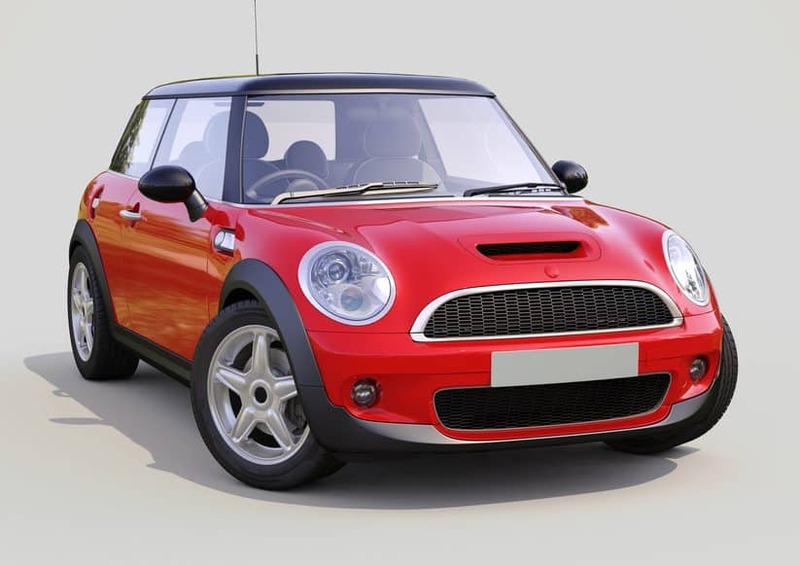 When BMW sold off Rover in 2000, careful observers already noted that it had surprisingly kept the rights to the mini Cooper. Clearly, something was stirring underneath the surface. Only a year later, BMW went public with the design that would wrap thousands around it finger. Even the design process is the stuff of legends now. When the team was about to present a clay model of the car to the BMW directors, they discovered, with a shock, that they’d forgotten the exhaust pipe. Designer Frank Stephenson quickly built one using elements from a coke can. The result looked extremely cool – and would remain one of the defining features of the final design. That said, there were plenty of problems with the first generation Minis. Generally speaking, the manuals seemed to work better than the Automatics and the Supercharge automatics were a lot better than the regular ones. The cars generally had a high failure rate – we’ll get into this in more detail later. When people complain about the unreliability of the Mini, they are generally referring to the first re-design generation. As car expert Mike MDs explained in an informative video, the second generation addressed and fixed a lot of those issues. From his point of view, the second iteration of the mini Cooper seems like the golden generation and, simply put, “great fun”. One of the main differences with the previous model series are the engines. The Supercharger was no longer part of the palette. Instead, all models came as a turbocharger. This added a lot of power. Early second generation cars still had some serious design faults. Two issues in particular stood out: Oil starvation and problems with the fuel pipe. We’ll talk more about these in specific sections of this article. In a 2011 update, BMW resolved even more of the remaining problems. Despite these quirks, the Mini remained insanely popular. Between 2001 and 2012, it sold 2,5 million units. These are number reminiscent of its prime in the 60s and 70s. For the third instalment of the series, BMW took a momentous decision. Production still mainly took place in the UK. But the German make was now solely responsible for the construction of the Minis. It also shifted part of the process to the Netherlands, closer to its Bavarian homebase. The move has widely been considered a success. Failure rates certainly seem to have gone down even further. If anything, some experts recommend sticking to a manual transmission for the moment. That said, all models are turbocharged now and feel great on the road. Perhaps the only complaint this time, ironically, deals with the design of the car. Some feel as though the new, slicker version of the Mini has lost a bit of its original distinctiveness. So, the third generation is a bit of a trade-in: More reliability against less charm. That said, it still looks like nothing else on the market! The phenomenal success of the revamped mini has been one of the reasons why it has remained so stubbornly expensive. As you’d expect, it holds its value well. So even a used mini cooper will be out of financial reach for many UK drivers. If you are capable of scrambling together the necessary cash, however, then do make sure you get most out of your investment. As we mentioned, the Mini has been plagued by several severe problems throughout its production run. Even the third generation is not without its issues. So, in case of doubt, be prepared to pay a little more to get the best possible model. How bad are things, really? That said, let’s not exaggerate. According to reliable statistics, the Mini is not bad, but perfectly average when it comes to reliability. That may not sound very reassuring. Neither is it an argument against buying one. Also, 21st century reliability standards have gone up considerably. So even an average car will still be very safe to drive and give you many years of satisfaction. Most of all, make sure you know where to look. Below we have summed up the two areas which are most likely to fail with a used mini Cooper: Plastic parts and oil starvation. With a premium car like the Mini, you’d expect its parts to be premium as well. Unfortunately, that’s not always the case. It has plastic parts in a few vital spots. And unfortunately, the quality of the material often doesn’t seem up to the job. With a new car, you may not notice these problems instantly. And if they do pop up, you may still be under warranty. In fact, this is one of the reasons why an extended warranty can actually make some sense with a Mini. No reason to overly worry, however. Simply take a quick look underneath the chassis to see if there is indeed any damage. And do note that not all Minis break down over their plastic parts. Your driving style obviously plays a pivotal role here as well. According to Mike MDs, the Mini’s oil issues are all over the Internet. In actuality, when you you type in “oil starvation” into google, the search engine won’t give you half as many results as you might expect. So has the issue been blown out of all proportions? Yes, at least somewhat. But that is not to say that the Minis don’t have a small oil problem. The thing is that on the second generation cars, there is no oil level sensor. Instead, the engineers went with an oil pressure sensor. Perhaps this concept has its benefits in some situations. However, there are plenty reported instances, where it’s a con rather than a pro. The pressure sensor has the tendency to sound the alarm a little later than the level sensor. And sometimes, that means it will go off too late. Also, there is a real danger of excessive carbon build up due to inadequate oil replenishment. Steering clear of these issues would mean buying a third generation Mini. For obvious reasons, that won’t be an option for most. Instead, be aware of the issue after you’ve bought a car and set yourself a constant reminder to check and replenish oil levels just a little more often than you would with another model. 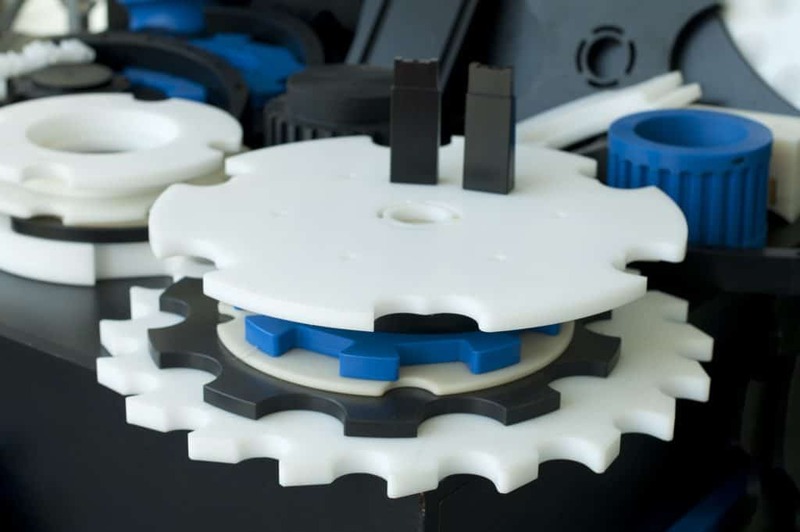 Although plastic parts breaking down and oil issues are the most widely known issues with the Mini, there are a few other areas you should pay closer attention to. Spare tyre: This is not really something you can change, but more something to be aware of: The mini Cooper does not have a spare tyre. Instead, it uses an aerosol can of puncture repair compound to do the trick. When you’re buying a used mini Cooper, make sure to check the can is still full and hasn’t exceeded its expiration date. The Mini has been designed to be driven hard. Although not all users do, it does make sense to check the clutch and the tyres (again). If they don’t feel perfectly smooth, they may need replacement. With the mini Cooper, however, knowing its weaknesses is half the battle. Don’t allow critics to put you off buying this wonderful car. All in all, the mini Cooper is a great vehicle which will put a smile on you every time you get behind the steering wheel. And, let’s be honest: What other contemporary car can make that claim?